Automotive Repair Order includes your company name, address, and phone number. 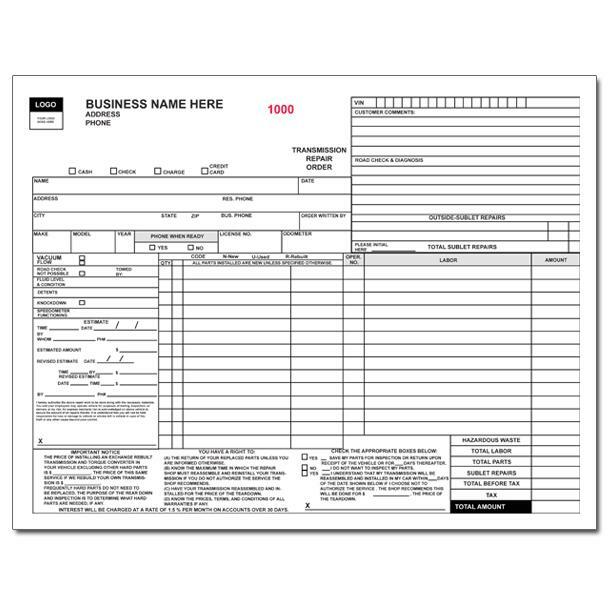 We can also do blank forms. Consecutively numbered for strict control. 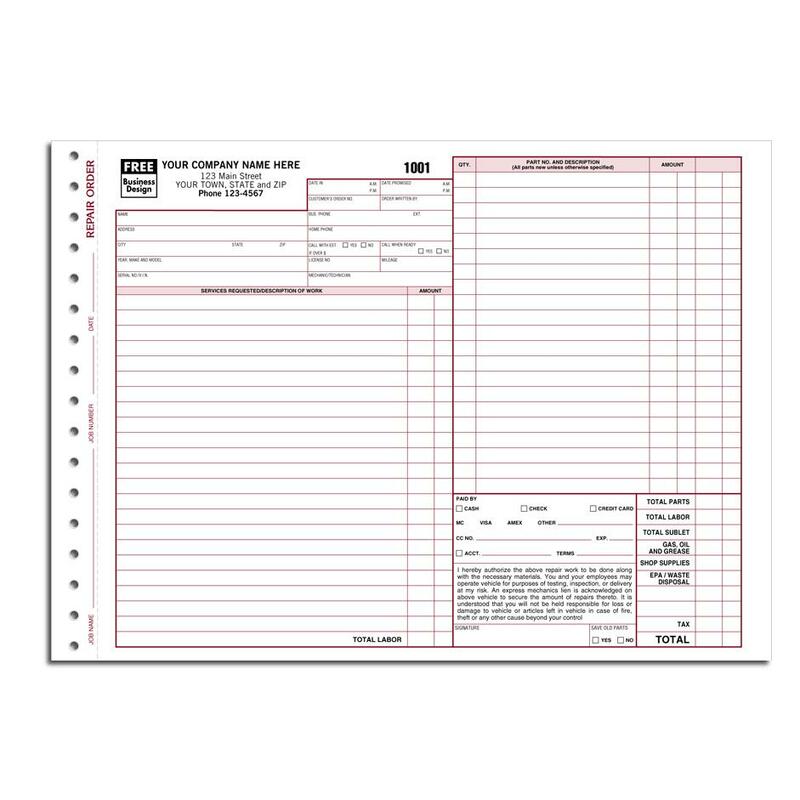 Keep an accurate record of labor, parts, service, accessories and more. Good for an auto mechanic, garage, automotive shops etc. 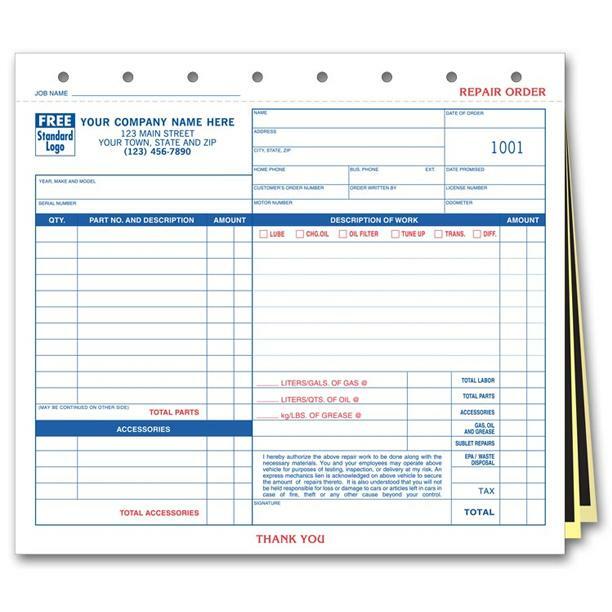 This form is printed as a carbonless snap set format with many lines and space to record all the details involved repairing a motor vehicle. It is perfect for billing your customers at the end of each job. It is a 3 part form with a sturdy manila paper stock as the last copy. Terms and conditions are already imprinted. Take a look at our other vehicle repair orders, imprinted for the auto mechanic shop.